The World Health Organization (WHO) declared the Ebola outbreak in West Africa a Public Health Emergency of International Concern. The International Federation of Biosafety Associations (IFBA) is working closely with Member Biosafety Associations and partners in the region to provide support and assistance in the areas of infection control and biosafety. Weak infection control measures and inadequate universal precaution practices represent an ongoing challenge to the operational response. 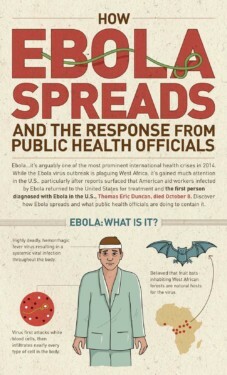 From USC Keck School of Medicine: Learn about the spread of the deadly virus, and how officials have responded thus far. Click on the image to see the full infographic. The African Society for Laboratory Medicine (ASLM) Ebola Laboratory Resources. 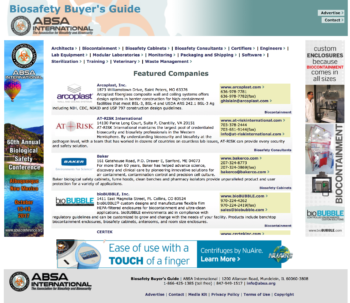 The ABSA Training Tools/Resources Committee is soliciting submissions for this section. 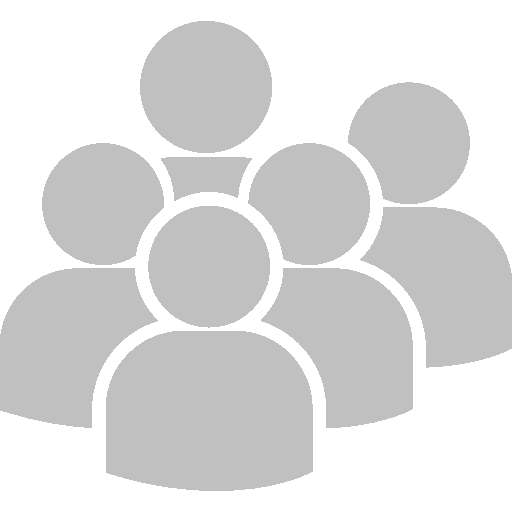 Our goal is to provide training tools, templates, and resources to biosafety professionals. Have a resource you are willing to share here? These can be placed on the public site for full access or on the members-only area for access only by ABSA members. Your content will be reviewed prior to posting. What resources would you find useful here? The Training Tools/Resources Committee will gather suggestions and look into what resources are currently available as well as make recommendations for development of appropriate tools. In addition to the existing categories, we are currently looking for training tools/resources for the following areas. If you have developed these tools, please submit them. Database of international risk group classifications for Bacteria, Viruses, Fungi, and Parasites. 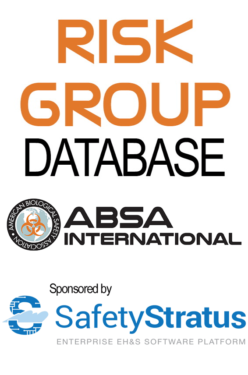 Risk Group Database app now available for Apple iOS and Android devices.